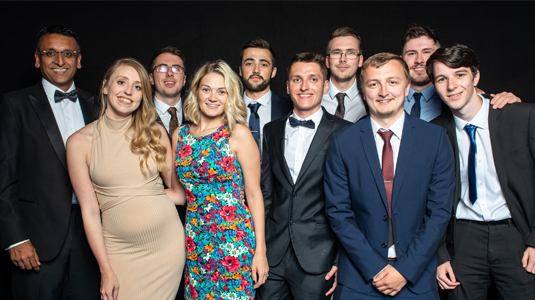 On Friday 8th June, Optionis’ Chief Operating Officer, Ifti Ahmed, and nine others from our Warrington office attended a glitzy awards ceremony at Lymm Rugby Club. 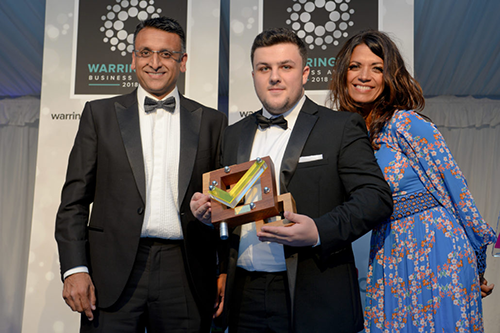 The Warrington Business Awards are the highlight of Warrington’s business calendar and celebrate the success of local business.  This year’s award ceremony was a sell out event, and Optionis is very proud to have been a sponsor of the Apprentice of the Year Award. 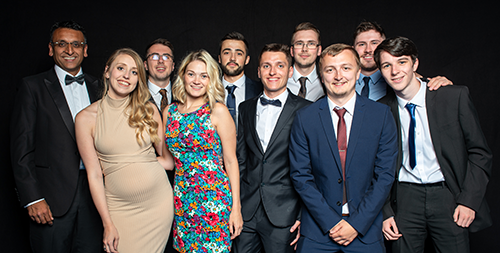 As a company that consistently invests in young talent and provides training opportunities and apprenticeship pathways through our £1.5m in-house training facility, it was only fitting that we sponsor the award that recognises local apprentices – and have some of our own apprentices and team leaders represent the company at the award ceremony. As a sponsor, Optionis were involved in the judging panel and at the ceremony Ifti presented the lucky winner, Ryan Kenny from Stanley Engineering, with his award .